This past week from June 22nd to 26th Fairville Shooters in Saint John New Brunswick played host to the annual Canadian Amateur championships. This is the third time Fairville as stepped up to host the amateurs. 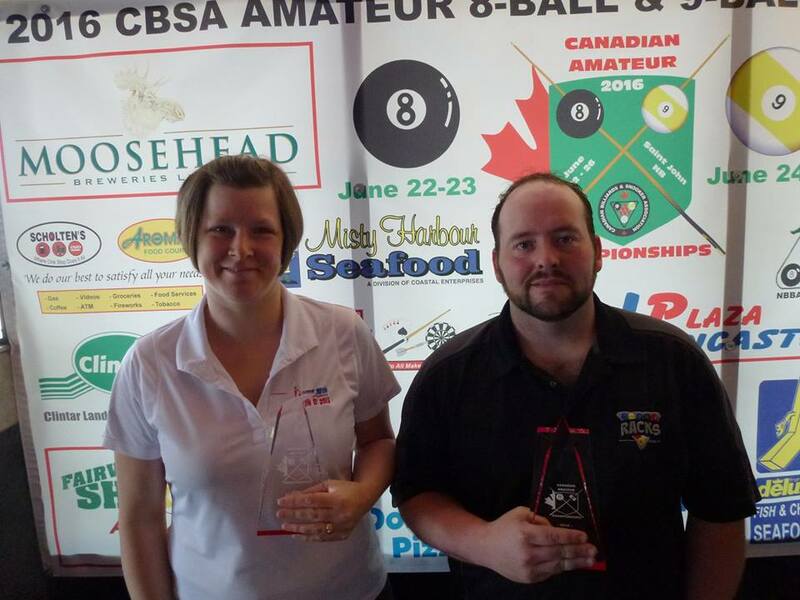 The event boasted a generous $4000 in added prize money which was divided between five divisions of men's, women's and juniors playing 8 ball and 9 ball. Participation held strong in the men's divisions with 46 in the 8 ball and 53 in the 9 ball. To my knowledge the women's amateur divisions set new records for participation with 19 in the 8 ball and 21 in the 9 ball. Glaringly though there was only 4 players in the junior 9 ball which undoubtedly brings up questions about the future of the game in this country. On the bright side there has been great strides in the province of Quebec spearheaded by Alain Martel who has successfully started a new program which has seen exposure in the public school system as well. Currently Martel has made a proposal to all schools in Montreal to join his program, we will all be on notice hoping this proposal is accepted. As has been the norm for the past many national championships both open and amateur, the overwhelming majority of players were from the home province and participation from western Canada was very low. This year western Canada had only 1 participant Chad Sens, from Saskatchewan. Ontario fielded a few players including Brad Guthrie, Stuart and Malcolm McTaggart, David Moyer, Waleed Hashem and Nicholas Ridley. Very surprising to me was the turnout from Quebec which I believe was 0. The field of AAA and under players in that province is huge and the question as to why they did not want to be involved cannot be answered by me. The main reason players have shied away from travelling is the cost of expenses relative to the prize money but with $4000 added from the host there is not much more you can ask from them. When the national championships truly had a national representation it was because provinces were sending qualifiers all expense paid. I really believe for the CBSA (Canadian Billiard & Snooker Association) to responsibly move forward for the good of the game, they have to make contacts in all provinces with rooms that promote the game. They can achieve this by making an alliance with these rooms to qualify players for national events so players can overcome the cost vs prize money dilemma. 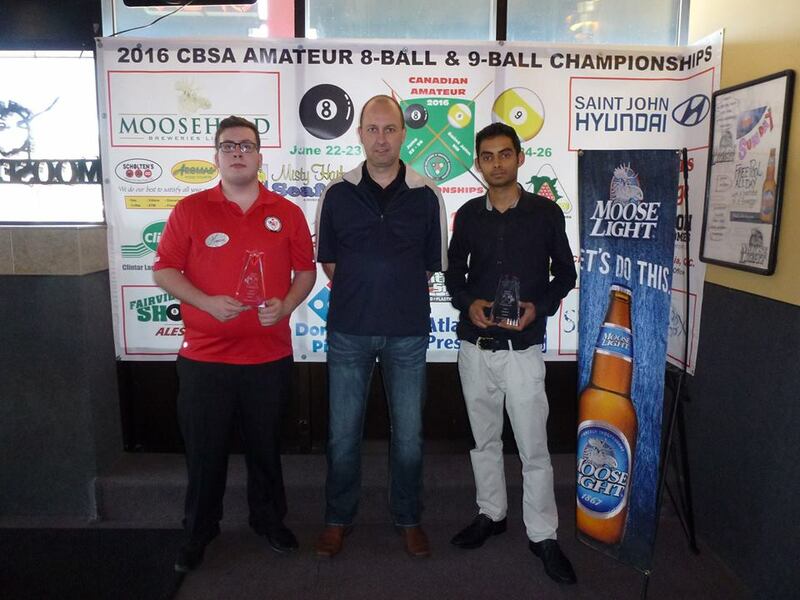 Bids for the 2017 Canadian Amateur championships are being accepted until July 15th of this year and can be submitted by email to CBSA representative Candace Campbell at candace.campbell@cbsa.ca. Results: All winners receive an entry to the open division in 2017 and the top 2 in the juniors receive a spot in the World Junior Championships as well as Tommy Cayer the top 16 and under finisher. Congratulations to all the winners. For more pictures from the Canadian Amateur Championships please visit the Cue Sport Nation Facebook Page.